Immerse yourself in the world of Iron Maiden. Based on the mobile RPG game, Legacy of the Beast, comes this collectable trading pin. 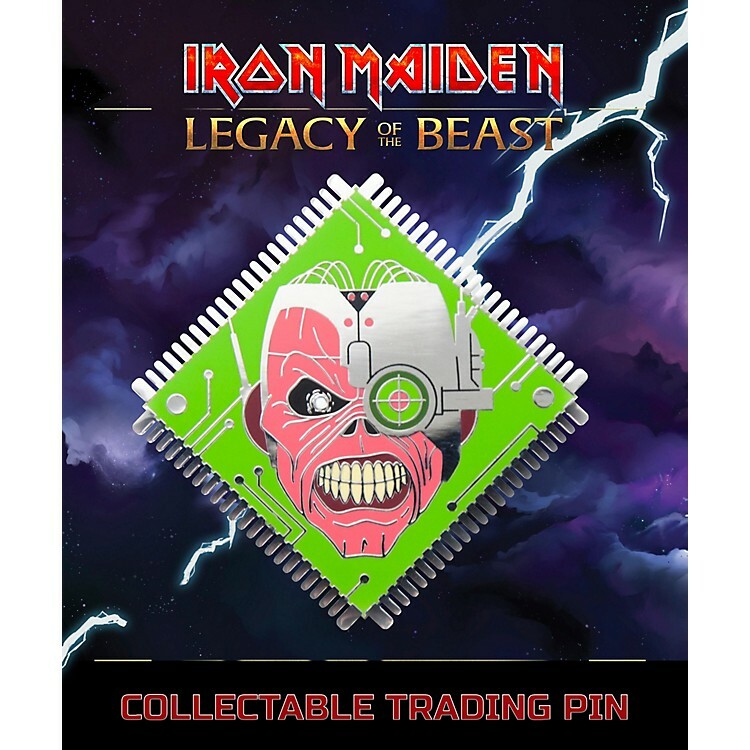 Featuring Cyborg Eddie this metal pin includes backings for security and comes packaged on a graphic card back. This Iron Maiden Legacy of the Beast Cyborg Eddie Lapel Pin measures about 2-inches tall. Ages 15 and up.